Father expressed concern he might be accused of killing his wife, Rachel MacNeill tells the court. Michele MacNeill Al Hartmann | The Salt Lake Tribune Pleasant Grove physician Martin MacNeill, right, charged with murder for allegedly killing his wife, Michele MacNeill in 2007, huddles with his defense lawyers Susanne Gustin and Randy Spencer in 4th District Court in Provo, Utah, October 24, 2013. Al Hartmann | The Salt Lake Tribune Alexis Sommers, daughter of Martin MacNeill, passes by him after testifying in his murder trial in 4th District Court in Provo, Utah, October 24, 2013. Al Hartmann | The Salt Lake Tribune Alexis Sommers, daughter of Martin MacNeill, testifies in his murder trial in 4th District Court in Provo, Utah, October 24, 2013. 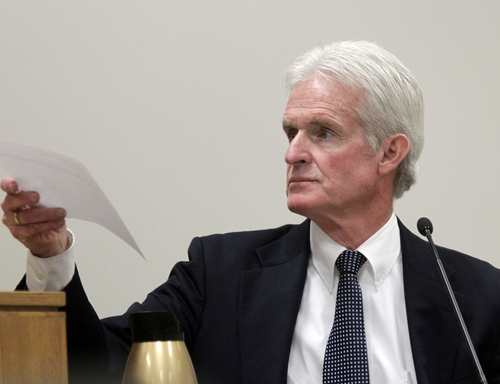 Al Hartmann | The Salt Lake Tribune Jeff Robinson, an investigator for the Utah County Attorney's Office, testifies in the Martin MacNeill murder trial in 4th District Court in Provo, Utah, October 24, 2013. Al Hartmann | The Salt Lake Tribune Douglas Whitney, who was an investigator for the Utah County Attorney's Office, testifies in the Martin MacNeill murder trial in 4th District Court in Provo, Utah, October 24, 2013. 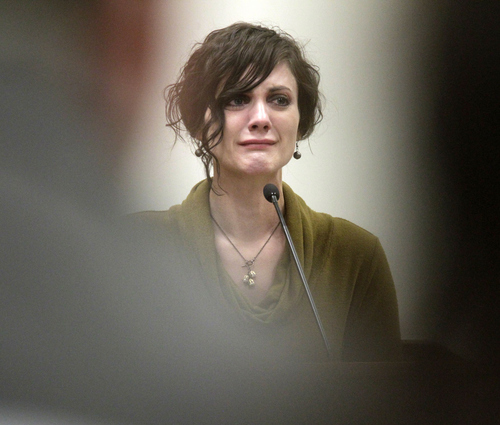 Al Hartmann | The Salt Lake Tribune Rachel MacNeill, daughter of Martin MacNeill, gives emotional testimony in her father's murder trial in 4th District Court in Provo, Utah, October 24, 2013. She spoke of her father's actions immediatey after her mother's death. 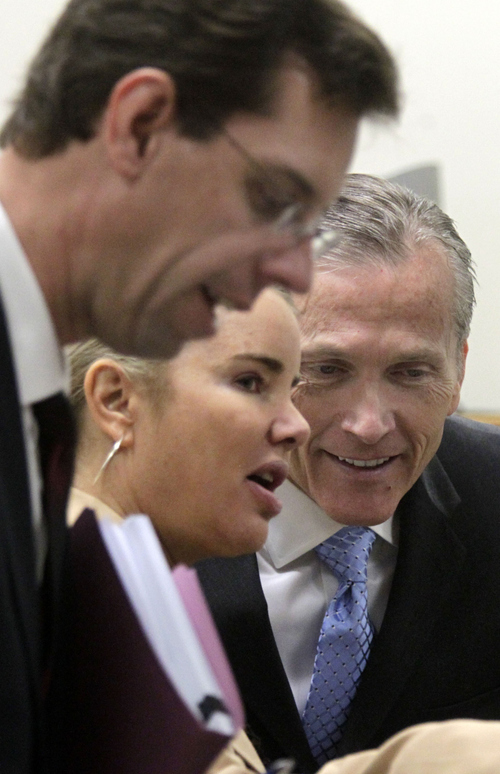 Al Hartmann | The Salt Lake Tribune Pleasant Grove physician Martin MacNeill, right, charged with murder for allegedly killing his wife, Michele MacNeill in 2007, huddles with his defense lawyers Susanne Gustin and Randy Spencer in 4th District Court in Provo, Utah, October 24, 2013. 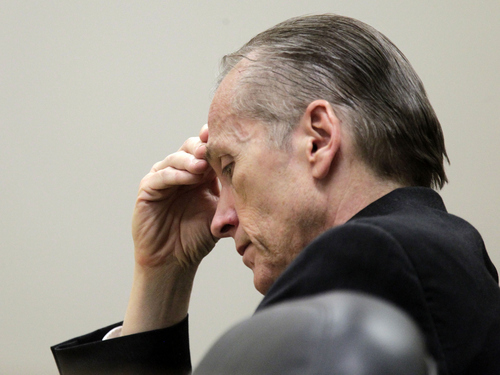 Al Hartmann | The Salt Lake Tribune Rachel MacNeill, daughter of Martin MacNeill, gives emotional testimony in her father's murder trial in 4th District Court in Provo, Utah, October 24, 2013. She spoke of her father's actions immediatey after her mother's death. 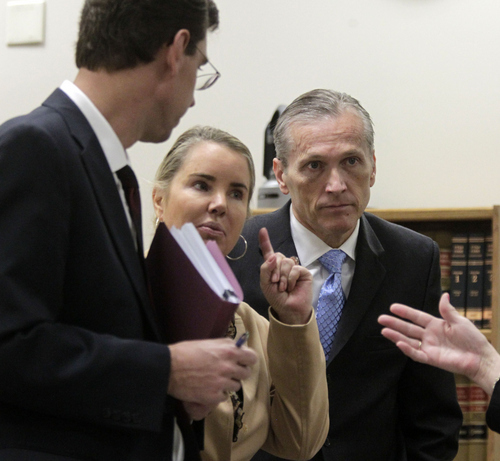 Al Hartmann | The Salt Lake Tribune Judge Derek Pullan, left, speaks to prosecutor Chad Grunander and defense lawyer Susanne Gustin during the murder trial of Martin MacNeill in 4th District Court in Provo, Utah, October 24, 2013. Testifying at right is Rachel MacNeill, daughter of Martin MacNeill. Al Hartmann | The Salt Lake Tribune Rachel MacNeill, daughter of Martin MacNeill, tries to keep her composure on the witness stand during her father's murder trial in 4th District Court in Provo, Utah, October 24, 2013. At left is defense lawyer Susanne Gustin. Al Hartmann | The Salt Lake Tribune Martin MacNeill bows his head and listens to his daughter Rachel MacNeill's emotional testimony during his murder trial in 4th District Court in Provo, Utah, October 24, 2013. 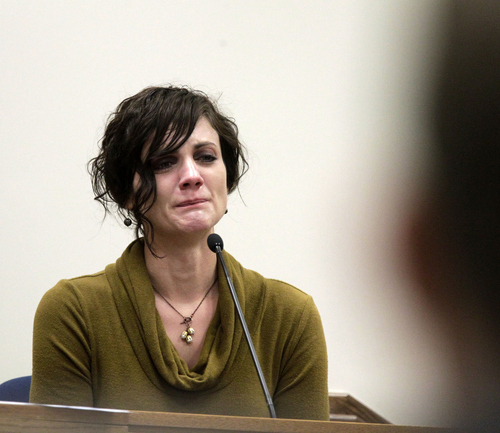 Al Hartmann | The Salt Lake Tribune Rachel MacNeill, daughter of Martin MacNeill, gives emotional testimony in her father's murder trial in 4th District Court in Provo, Utah, October 24, 2013. She spoke of her father's actions immediatey after her mother's death. 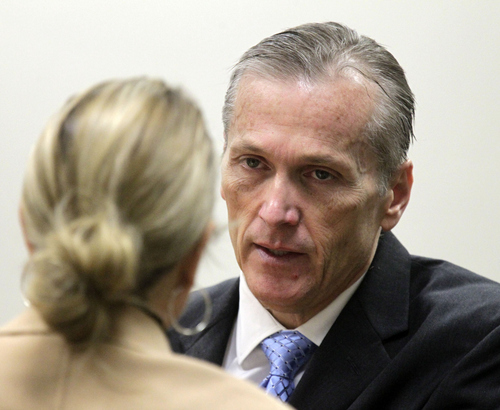 Al Hartmann | The Salt Lake Tribune Pleasant Grove physician Martin MacNeill, charged with murder for allegedly killing his wife Michele MacNeill in 2007, talks with his defense lawyer Susanne Gustin in 4th District Court in Provo, Utah, October 24, 2013. 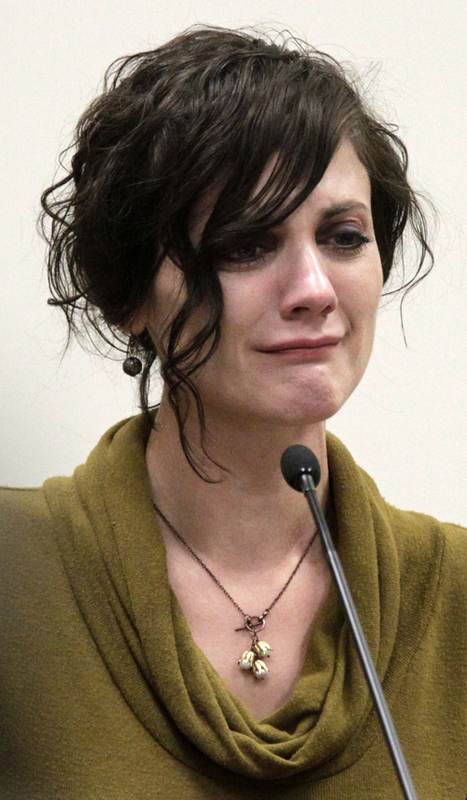 Al Hartmann | The Salt Lake Tribune Rachel MacNeill, daughter of Martin MacNeill, gives emotional testimony in her father's murder trial in 4th District Court in Provo, Utah, October 24, 2013. She spoke of her father's actions immediatey after her mother's death. Provo • Gypsy Jillian Willis was unlike any other nanny that Rachel MacNeill had ever seen. She didn&apos;t cook. She didn&apos;t clean. She didn&apos;t care for the children. But Willis was still hired  just weeks after Rachel MacNeill&apos;s mother, Michele MacNeill, had died  to care for her younger sisters. But instead of attending to the small children, Rachel MacNeill, 34, testified on Thursday that Willis&apos; focus was instead on her father, Martin MacNeill. "I expected her to be focused on the children, to cook or clean or take care of the children," Rachel MacNeill testified. "[Instead], my dad was cooking, she was staring at my dad. There was nobody looking after the children." In the weeks after Willis moved into the MacNeill home, Rachel MacNeill said it became clear to her that Willis did not have a merely professional relationship with her father. 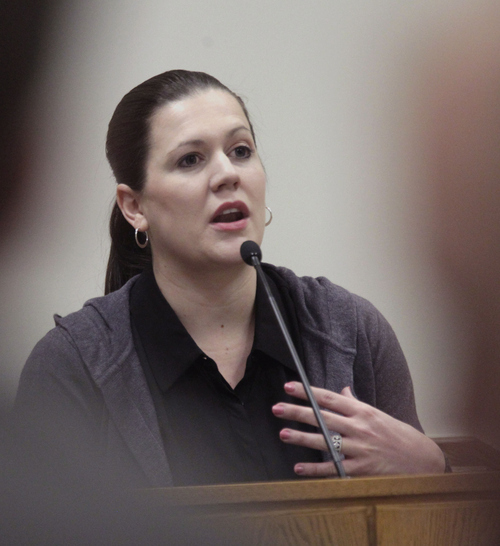 "It was obvious," she testified on Thursday in Provo&apos;s 4th District Court. "She was just goo eyes at my dad and wouldn&apos;t do anything a nanny would do." Martin MacNeill, 57, is on trial for murder and obstruction of justice for allegedly killing his 50-year-old wife in order to continue an extra-marital affair with Willis, who is now 37. He is accused of giving his wife a fatal combination of prescription drugs after she came home to recover from cosmetic surgery. Michele MacNeill was found unconscious in a bathtub by her 6-year-old daughter on April 11, 2007. Ada MacNeill found her mother fully-clothed and face-up in the bathtub, according to the girl&apos;s preliminary hearing testimony. The child went to a neighbor&apos;s house to get help, and eventually Michele MacNeill was pulled from the bathtub by a neighbor and Martin MacNeill. The two attempted CPR before medical crews arrived. Those medical crews also attempted to perform CPR and other life-saving efforts before Michele MacNeill was taken to the hospital, where she was pronounced dead. Rachel MacNeill, 34, testified Thursday that she rushed to her parents&apos; Pleasant Grove home after missing several calls from her father that April day. Later in the evening, her father insisted that he show her in detail how her mother was found in the bathtub. "My dad was adamant that he describe what happened," Rachel MacNeill testified. "I told him I didn&apos;t want to know, he insisted." 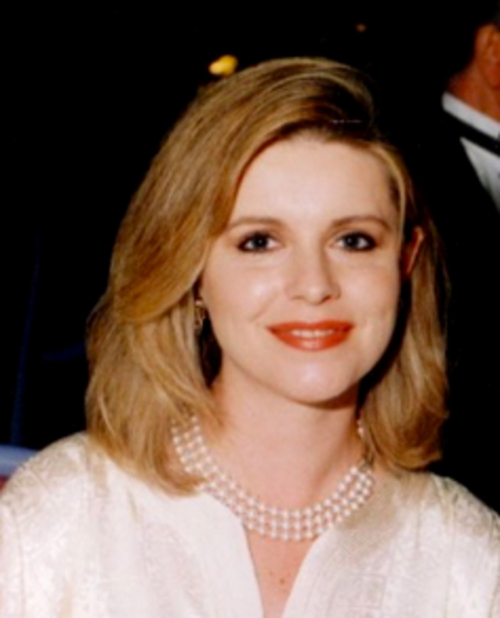 Martin MacNeill took her into the bathroom and told her that Michele MacNeill was found with her legs sticking out of the tub, face-down, with her head underwater. "It was horrible," Rachel MacNeill said between sobs. "I didn&apos;t want to know. My mom was dead and I was concerned about my family. I didn&apos;t want to hear all this. "But Martin MacNeill&apos;s explanation to his daughter about how his wife was found in the bathtub is inconsistent with how neighbors, who testified last week, found the woman&apos;s body. Three neighbors testified that Michele MacNeill was found slumped inside the tub, face-up. Rachel MacNeill, who spoke quietly and cried frequently throughout her testimony Thursday, said her father also insisted that an autopsy be done on Michele "right away." "He specifically said that he was concerned [about] a police investigation. ... That he didn&apos;t want anyone to think he murdered my mother," she recalled. Defense attorney Susanne Gustin questioned Rachel MacNeill&apos;s recollection of events regarding an autopsy, suggesting that it was Rachel who made mentioned the autopsy, not her father. But the woman disagreed. "My dad repeatedly brought up the autopsy," Rachel MacNeill said.Rachel MacNeill also said that on the day of her mother&apos;s death, she went into the garage at her parent&apos;s home, and found a bloody, wet pile of clothes and towels, among some of her mother&apos;s items that had been kept in the master bedroom of the home as she recovered from plastic surgery, including a hospital bed and small stuffed animals. 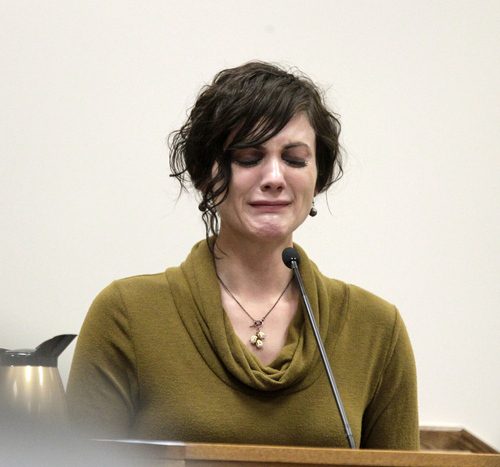 She testified that she took a bra, LDS garment top and black shirt that were cut from her mother by paramedics to her father. "He told me, &apos;How dare you show me those things? Get rid of it,&apos; " Rachel MacNeill testified. Instead, the woman said she washed the items and kept them, eventually turning them over to investigators. Later, at a funeral luncheon for her mother, Martin MacNeill was joking, casual and social, Rachel MacNeill testified. "He was making jokes about being single, and just laughing," she testified. "It made me sick. I left." Gustin pointed during cross-examination that while Rachel MacNeill had previously said her father was making jokes at the funeral, she also testified that she saw her father "sad" during the funeral, as well. Before the jury was brought in on Thursday morning, attorneys argued about whether Ada MacNeill, now 12, would be allowed to testify at the trial. 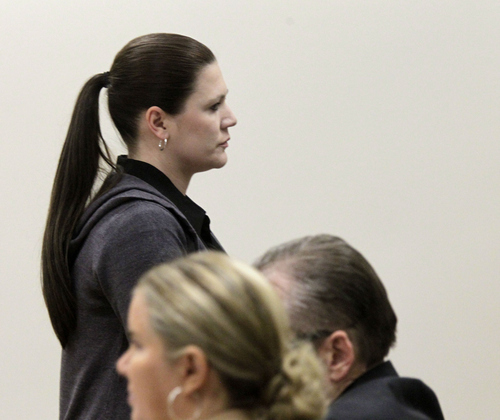 Defense attorneys had argued before the trial that Ada&apos;s testimony was tainted, because she had been asked questions by her sister and legal guardian, Alexis Somers, instead of a child witness expert. They asked to have her testimony barred entirely. The child was interviewed once at the Children&apos;s Justice Center by an expert, but defense attorneys have noted that Somers asked the girl follow-up questions, prompted by Utah County Attorney&apos;s Office investigators. Prosecutors have countered that Somers never suggested answers for her younger sister to give to investigators, and there was no evidence that Ada&apos;s testimony was swayed in any way. The questioning from Somers occurred before charges were filed against MacNeill in 2012. 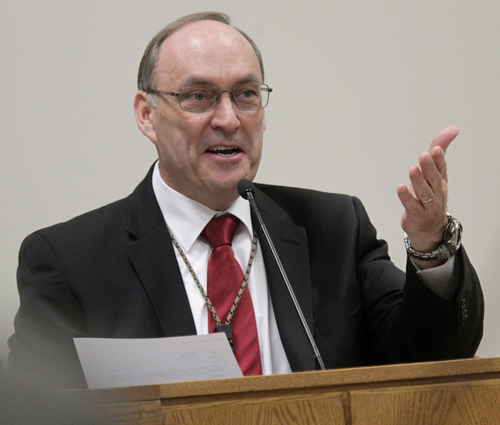 Judge Derek Pullan said he will rule Friday morning on whether the girl can testify.